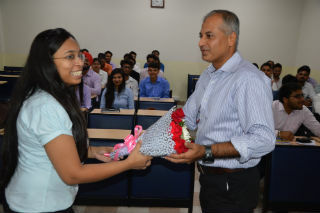 Guest Lecture on “Various Incentives for Exports” and “Shipping and Customs Clarence of Goods” by Mr Amit Budhiraja (Founder and CEO of Utopia Freight Logistics Pvt Ltd) was organised for PGDM-IB students on 26thJuly 2017. 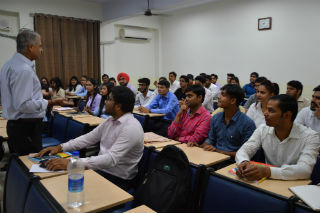 The students were given knowledge regarding the export and import policy and incentives that are produced to the exporters. 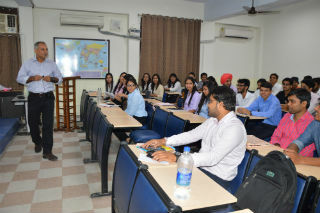 He also updated students about placement opportunities in export and import area. He also explained the various online portals like Niryat Bandhu which provide the update of this industry. 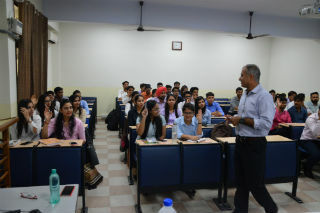 The session was really helpful for IB Students.